That's right, the name does't lie--sugar beets can give you sugar! A hardy grower, cold tolerant and can thrive in sun or partial shade and, surprisingly for a "sweet" veggie, doesn't require a lot of water. Beets even have a high tolerance for low fertility soil. The Sugar Beet is the ultimate versatile crop, as it can be enjoyed as a sweet root vegetable, leafy greens can be harvested and consumed as well, and of course it can be processed for sugar! 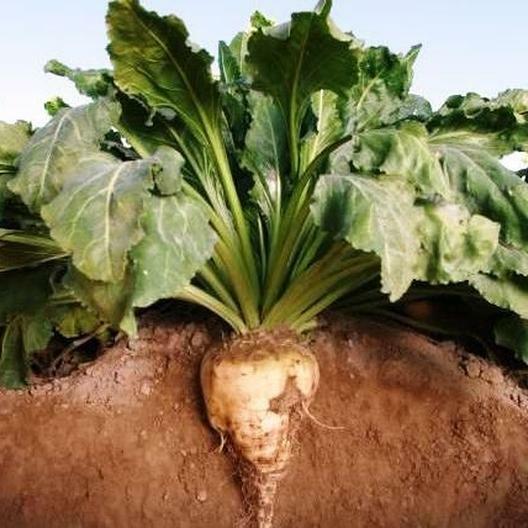 Sugar Beet roots are not a typical beet, being a very large white and tapered root. Largely regarded as one of the best crops for your "sustainable" farm.